Connections-based Learning: Day 2 BYOT. I've got a problem. 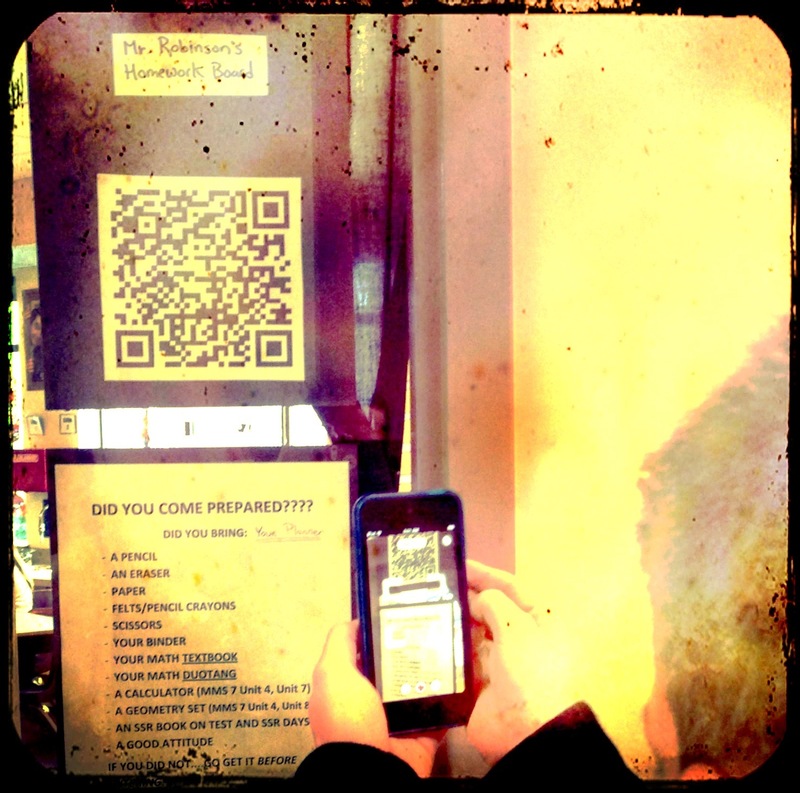 . .
Day 2 BYOT. I've got a problem. . . It all started famously. . .
- Where was Christopher Columbus born? 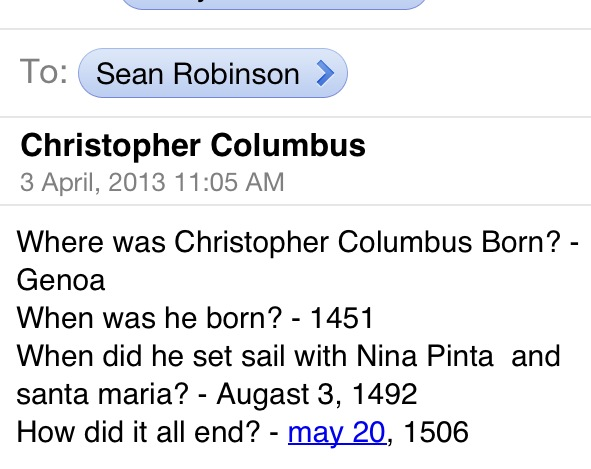 - When was Christopher Columbus born? - When did he set sail with the Nina, Pinta and Santa Maria? - How did it all end with Columbus? They got it! Check your sources...One website ain't enough...Mr. Robinson's a tricky son of a gun. So here is my problem. 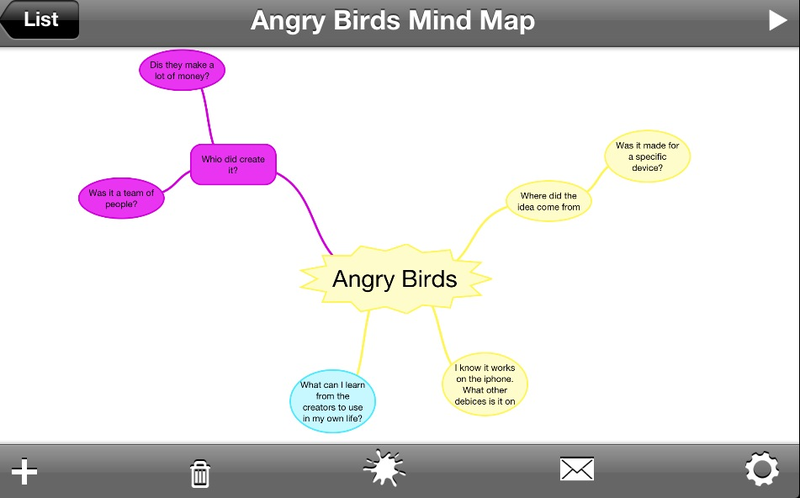 . .
Part 2 of the lesson: finish off your brainstorming using the app of your choice. Then email me a screenshot. Well the emails started pouring in again. I've got 27 students and though not all of them emailed me something, several emailed me their work, then changed it and emailed me again. . . So as I am weeding through﻿ all these emails, I was thinking THERE MUST BE A BETTER WAY!!! 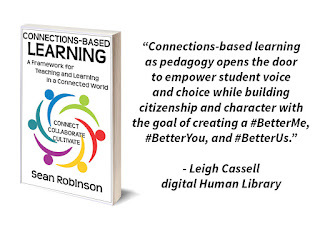 This is what I am asking for: I want to "reach" in to each student's device, see what they are doing and how far they got, and be able to evaluate it FOR learning or AS learning. Instead of it going to me, I'd rather have me go to it. . .but easily. Is that too much to ask?